In the fall of 2005, Buchanan Shoals openned its doors to the public for preserve quail hunting. These hunts will be allowed only on a limited basis, and all hunts must be booked in advance. Since Buchanan Shoals is a private preserve, when you arrive as our guest it is like having your own private quail plantation. All of our quail hunts are done over natural habitat conditions. Whether you are passionate about plantation style hunting in pine uplands, or you prefer open broomstraw fields with and incredible view…..Buchanan Shoals has it all! As with any quail hunt, the quality of the hunt is directly related to the flight quality of the birds. Buchanan Shoals uses a seasonal early release system for quail, giving hunters the best flying birds possible. 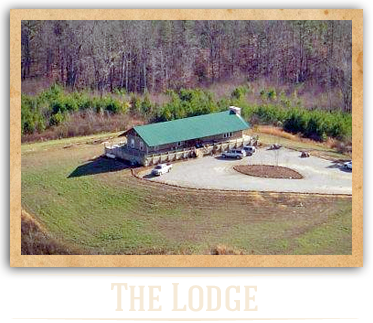 Buchanan Shoals features half-day and full-day quail hunts. The fee includes a guide with dogs, the specified number of killed birds, and transport to/from the hunting area. Please see pricing below. Every wingshooter comes to appreciate a competent, knowledgeable and personable guide. 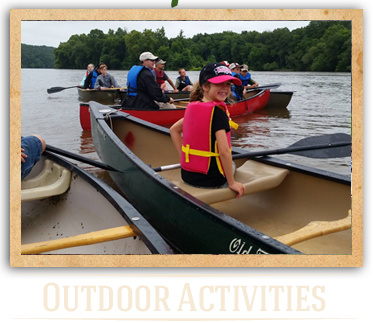 At Buchanan Shoals, our guides and field helpers have years of hunting experience and possess the skills and know-how to handle the dogs, set up the covey rise and harvest the birds. 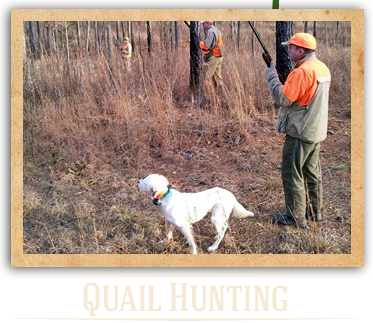 While hunting at Buchanan Shoals you will also experience some of the most stylish, fit, and beautifully trained dogs that you will ever hunt behind. If you would like to book a hunt or find out more information, please feel free to contact us. Hunting vehicle, guide, & dogs.